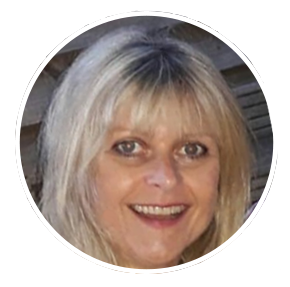 Healing with Emma Leverton is a holistic experience looking at your Mind, Body and Spirit for complete healing. A very relaxing Reiki healing session combining not only all the benefits of Reiki but Emma will also use Crystal and Colour Healing along with Sound and Essence Healing to clear your aura and help promote the smooth flow of Qi/Chi/Ki; your life force energy. Reiki is a lovely treatment for stress reduction, relaxation and to promote healing. Reiki is effective in helping virtually every known illness and complaint, creating a beneficial uplifting of Spirit; it also relieves side effects and promotes recovery. Reiki is given fully clothed through the hands of the healer whilst you relax on the massage couch. The whole body will be enriched with blockages cleared and a deep sense of wellness. Many patients have had a sense of letting go of pent up emotions and clarity. Reiki helps the entire body but particularly focusses on areas of illness, weakness or blockages. Your initial healing session will last for approximately two hours with any further treatment lasting an hour. In your first consultation an information sheet regarding the healing process will be given to you to read, sign and keep, please feel free to ask as many questions as needed. Then a confidential medical form will be completed. Emma will begin by discussing your medical history, current medical intervention and your emotional state of well being. Your lifestyle and diet will also be discussed etc. She will look at your auric field, chakras, take your pulses and look at your tongue to get an overall picture of your general state of health and to ascertain imbalances and points of weakness. Healing preparation will be given with auric sound therapy and 100% natural organic essence, Qi stroking may also be appropriate, all three will be explained thoroughly at the time. Ways for you to continue your healing at home will also be discussed. Your relaxing healing session is conducted confidentially at Emma’s Spiritual Centre in Poundbury, Dorchester, Dorset, UK. Prior to your session please arrive on time with comfortable clothes. Anyone who is intoxicated will be refused healing. This healing is only available to persons over the age of 18 and is strictly on a one to one basis. Emma is a qualified Trance Spiritual Healer, Psychic Surgeon, Reiki Practitioner, Crystal Therapist, Colour and Sound Therapist, EFT Practitioner, Nutrition Specialist, Counsellor, Anatomy and Physical Health Practitioner, Indian Head Masseuse, a Sleep Therapist, Dream Analyst, Iridologist, Life Skills Coach and is currently completing a Batchelor of Science in Chinese Medicine and Psychology. Your first consultation is priced at £60, this includes an in-depth diagnosis, treatment plan and healing. Any subsequent healing taken within a year of commencement is priced at £40. All healing is priced at £60 for your first consultation which includes an in-depth diagnosis, treatment plan and healing, any follow up appointments taken within 12 months are £40 and last 1 hour. Dear Emma, thank you for everything, I needed that strength boost.